Congratulations to Mr Petrides of Kent who was the first person picked at random from those people who who got the answer right to the question in our spring competition: what was Hitler’s favourite city? The answer was Munich in Bavaria. This ‘German’ city wrote Hitler in Mein Kampf, that he was ‘more attached to’ than ‘any other spot of earth in this world’. Hitler, born an Austrian, always considered himself ‘German’ and it was only by finally being able to move to Munich in 1913 at the age of 24 that he achieved his goal of living in a truly ‘German’ city. In part, Hitler loved Munich because it was not Vienna, where he had been lodging for years – a city he considered seedy and impure. 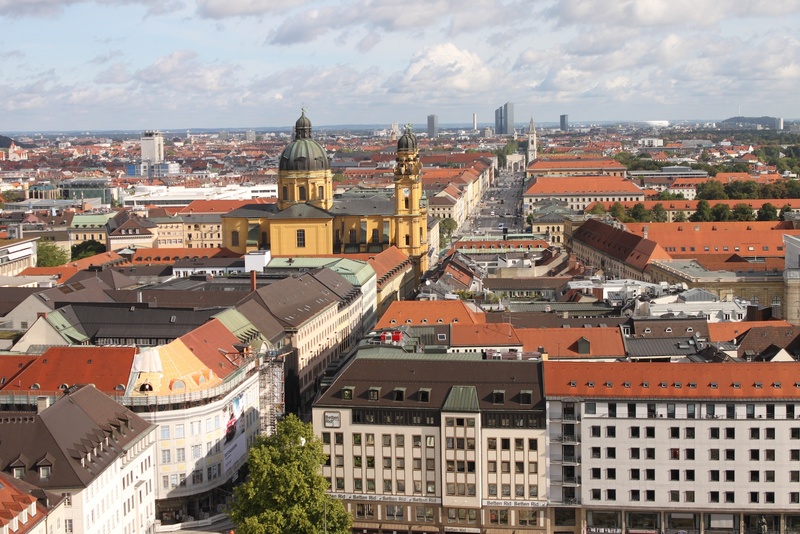 Munich was to become known as the ‘capital’ of the ‘National Socialist Movement’ and in 1923 was the scene of the infamous Beer Hall Putsch – Hitler’s disastrous attempt at armed insurrection. A signed, first edition of my book of essays, Their Darkest Hour’ will shortly be winging its way to Mr Petrides. Congratulations to Mr Barnetson of Moray in Scotland who was the first subscriber to WW2History.com picked from all those who gave the correct answer to our Winter Competition. The question we posed was: After one [bombing] raid on Germany the 8th Army Air Force suffered such bad losses – more than 70 planes were destroyed – that their daylight raids were temporarily suspended. What is the name of the German city the Americans were trying to attack when they encountered such powerful resistance? Mr Barnetson, along with other subscribers, correctly identified this particular city as Schweinfurt. A signed, hardback, first edition of Max Hasting’s brilliant ‘All Hell Let Loose’ will shortly be winging its way to him. Our new competition has another hardback, signed first edition on offer – ‘Their Darkest Hour’ – my own book about the most extraordinary people from WW2 that I have met over the last twenty years. Congratulations to Jemma Mortimer of the Midlands who was the first subscriber to WW2History.com picked from all those who gave the correct answer to our Autumn Competition. The question we posed was: Which Nazi Gauleiter – one of the hardest of hard liners who had previously ruled with an iron hand over the Ukraine – ran to Flensburg in the final days of the war and vainly demanded a U boat to take him to South America? He died in captivity in Poland in 1986. Ms Mortimer, along with many other subscribers, correctly identified this particular Nazi as Erich Koch. A signed, hardback, first edition of Ian Kershaw’s wonderful new book ‘The End’ about the last days of the Third Reich will shortly be winging its way to her. Congratulations to Andy Dixon of Cheshire who was the first WW2History.com subscriber chosen at random from all those who gave the correct answer to the summer competition. The question posed was this: What was the name of the Japanese Admiral who was the architect of the attack on Pearl Harbor, and would be killed when his plane was shot down by the Americans in 1943? And the answer was: Isoroku Yamamoto. 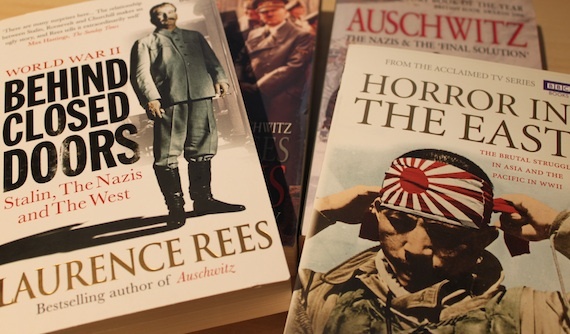 The prize of signed paperback copies of all 5 of my WW2 books will shortly be winging its way to Cheshire. This autumn’s competition for subscribers has a stunning prize – a signed, hardback, first edition of Professor Sir Ian Kershaw’s brilliant new book about the final year of Hitler’s Germany: ‘The End’. Good luck to all who enter! 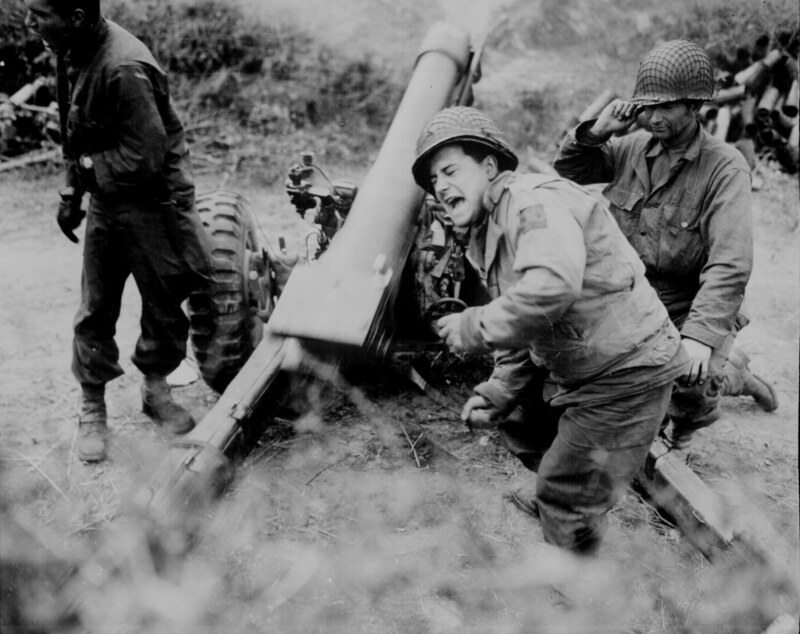 Many congratulations to Carol Hitchcock of Bedfordshire who was the first person chosen at random from the subscribers to WW2History.com who got the correct answer to the competition for June. 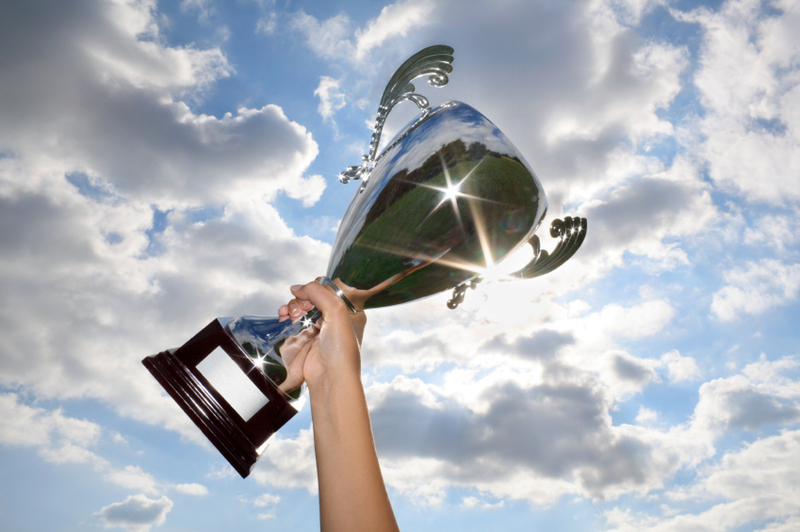 Congratulations to Jodie Neville of the West Midlands who wins the competition for May. 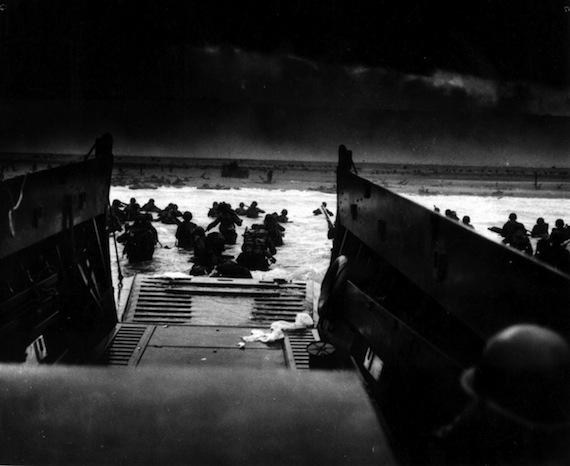 Hers was the first name taken at random from all of those WW2History.com subscribers who gave the correct answer to the question: Immediately after landing on the Normandy beaches the Allies had to fight their way through countryside which – largely because of the high hedges – hugely favoured the German defenders. This countryside had a special name, one derived from Norman French. What is it? And the answer was ‘Bocage’. A word that became hateful to the Allied soldiers who had to battle through it. 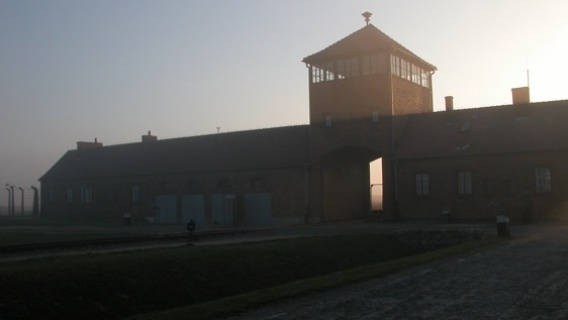 This month, subscribers have the chance to win a signed hardback copy of my book on Auschwitz. Good luck! Congratulations to Mr George Cox of Devon, who has won April’s WW2History.com competition, as he was the first subscriber selected from those who correctly answered last month’s question. The question was: De Gaulle was famous for his cryptic remarks. One of his strangest was when he was asked his reaction to the behaviour of one of France’s most famous heroes of WWI, who turned into one of the most infamous collaborators with the Nazis during the German occupation. This infamous collaborator did not die until 1951, yet De Gaulle said of him that he died ‘in 1926’. What was the name of this collaborator? And the correct answer was: Marshal Pétain. In the years immediately after the First World War de Gaulle had hugely admired Pétain, the hero of the battle of Verdun, but then quarreled with him and subsequently preferred to think he had died rather than collaborated with the Nazis as head of the Vichy government. A signed copy of Jonathan Fenby’s fine book on de Gaulle will shortly be on its way to Mr Cox. Well done to all of the WW2History.com subscribers who knew the correct answer to last month’s competition – which was Dietrich Eckart. 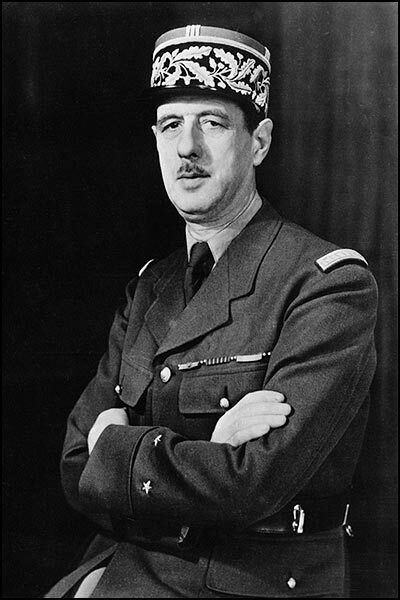 The question wasn’t at all easy and yet many people got it right – so this month’s question about Charles De Gaulle is the hardest yet. Good luck! And congratulations to Caitlin Kilby of Wales who was the first name chosen from all of those who answered with the right answer to last month’s competition. A signed, paperback copy of Ian Kershaw’s brilliant one volume biography of Hitler will shortly be winging its way to you. Here’s the result of last month’s subscribers’ competition. Congratulations to Mr Barnetson from Moray who correctly identified the name of the leader of the British delegation to Moscow in the summer of 1939 as Sir Reginald Aylmer Ranfurly Plunkett-Erne-Erle-Drax. A signed paperback copy of Richard Overy’s ‘The Road to War’ will shortly be winging its way towards him. Not many people got the right answer last month, and this month’s question is, I think, the hardest yet. But the prize is worth the effort. Ian Kershaw’s one volume biography of Hitler – signed by Sir Ian himself. Many congratulations to Shanice Jackson of Lancashire who has won the January subscribers’ competition. She was the first WW2History.com subscriber picked at random from those who gave the correct answer to last month’s question. She correctly identified Caen as the city which the Allies failed to take on the first day of the invasion in June 1944. She wins a signed paperback copy of Antony Beevor’s brilliant ‘D Day: The Battle for Normandy’ which will shortly be winging its way to her. I remember Antony Beevor telling me that he thought Normandy had been the ‘martyr for France’ in 1944 – by which he meant, of course, that Normandy had suffered more than any other region. And having met British and American troops who fought their way through the high hedges of Normandy, step by bloody step, I most certainly agree with his judgment. Good luck to all subscribers with this month’s competition – which is quite a tricky one I think. The prize is a signed, paperback copy of Richard Overy’s terrific ‘The Road to War’.